Bio-individuality: The concept of bio-individuality is that each person has unique food and lifestyle needs. One person’s food is another person’s poison, and that’s why fad diets tend to fail in the long run. Working on the principle of bio-individuality, I’ll support you to make positive changes that are based on your unique needs, lifestyle, preferences, and ancestral background. 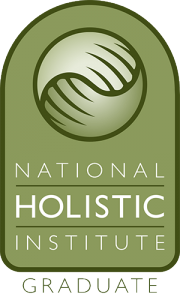 I use a personalized, holistic approach to ensure that you will have great success! Primary Food: It’s easy to overlook all of the things that contribute to our sense of nourishment and fulfillment. It’s not just the food we eat, but all of the other factors present in our daily lives. Healthy relationships, a fulfilling career, regular physical activity and a spiritual awareness are essential forms of nourishment. When these primary foodsÂ are balanced, what you eat becomes secondary. I will support you in achieving all of your goals, from eating the right foods for your body to living an inspired, fulfilling life. 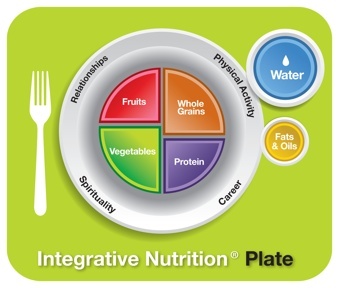 Integrative Nutrition Plate: The Integrative Nutrition Plate emphasizes the importance of local and organic produce, whole grains, high-quality proteins, plant-based fats, and water. It shows you how a plate should appear at mealtime and emphasizes the importance of proportions and portion size. To complete the picture, the plate is surrounded with lifestyle factors that create optimal health: relationship, career, physical activity and spirituality. I’ll introduce you to some of the healthiest foods on the planet and teach you how to find what’s healthiest for your unique body!